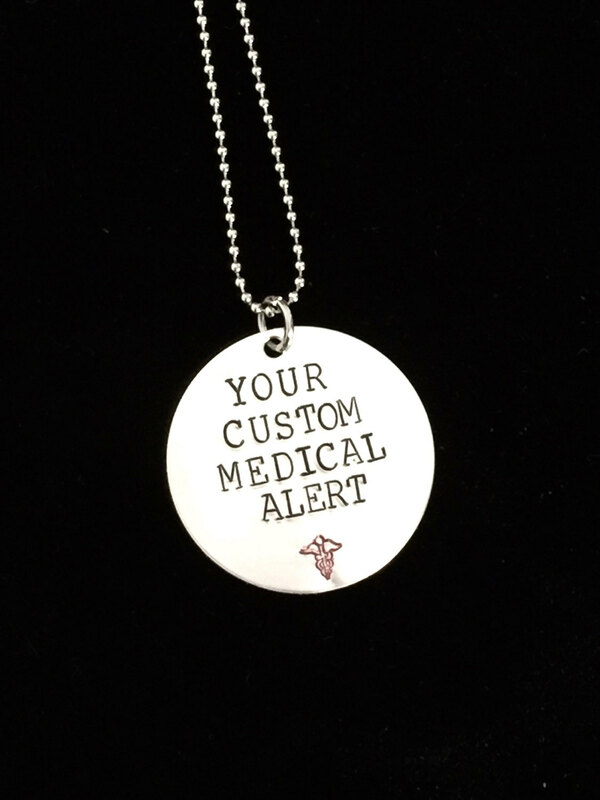 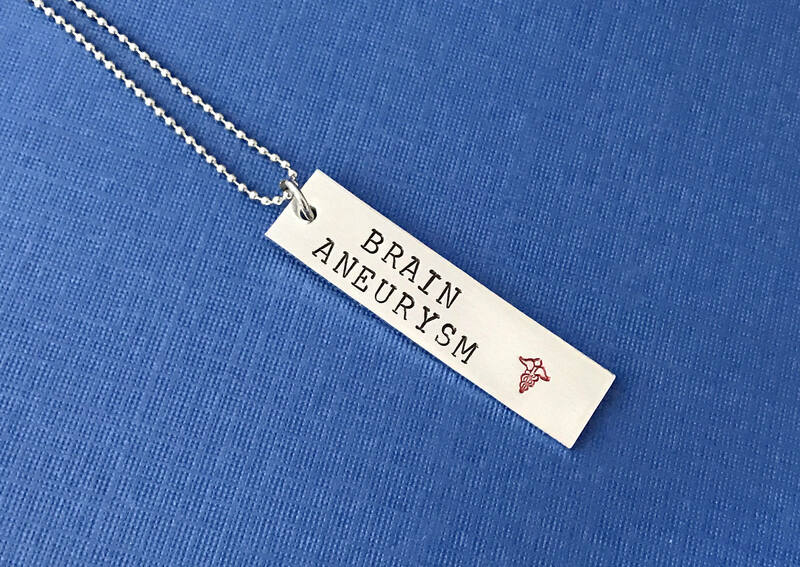 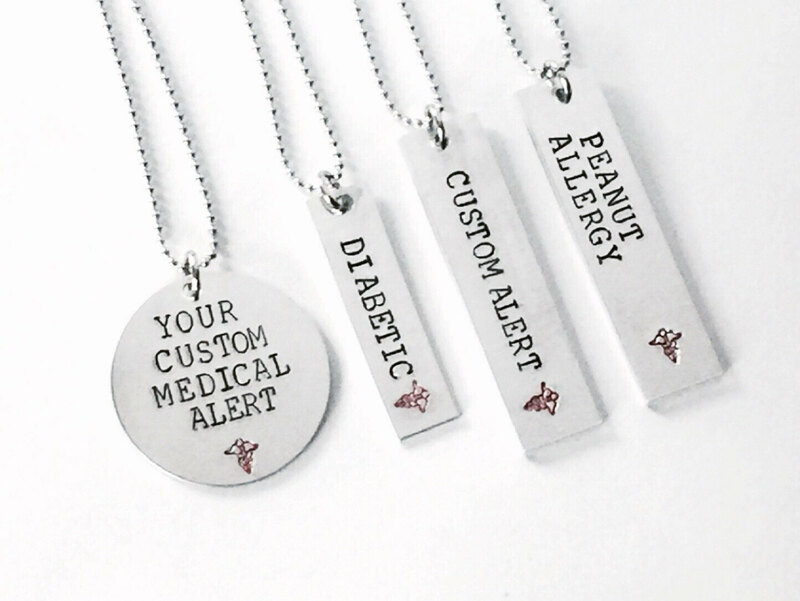 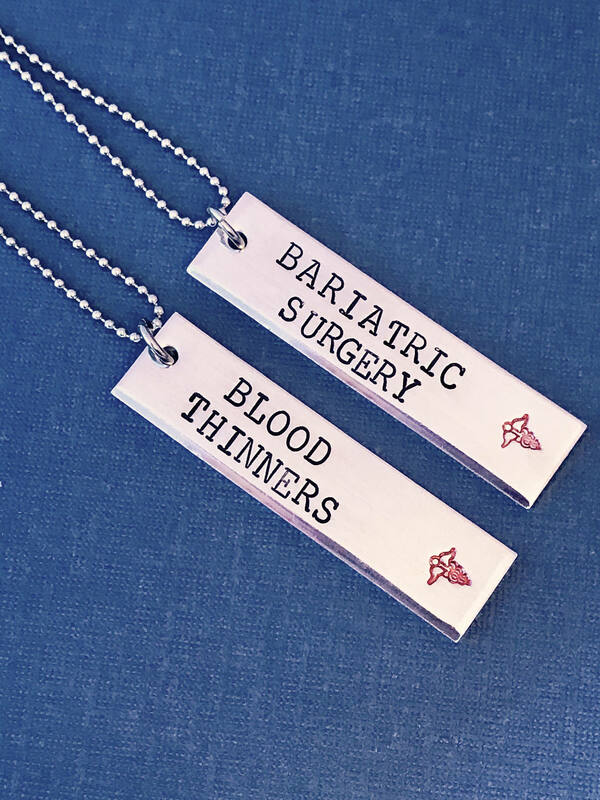 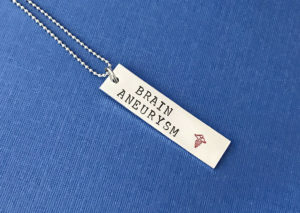 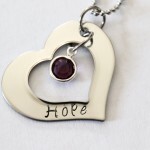 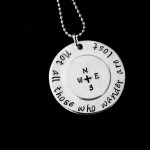 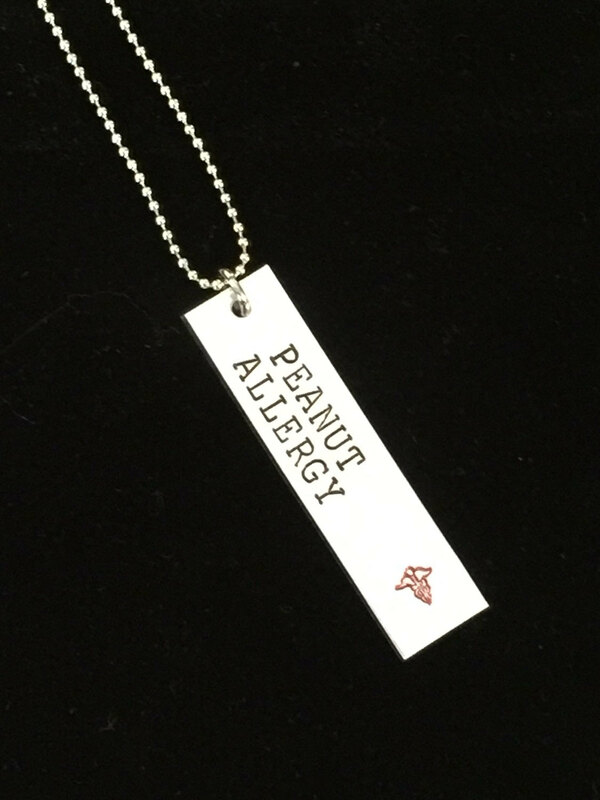 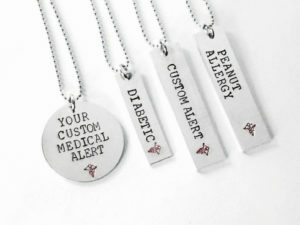 This hand stamped necklace is made to order with your specific medical alert on it. 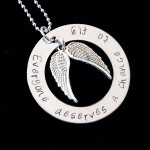 Please note in the checkout what you want the necklace to say and if you want a stamp design on it. 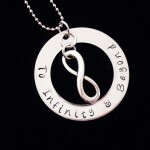 These pendants are a bright silver tone and made of Pure High Grade Aluminum 1100, which is safe on your skin.